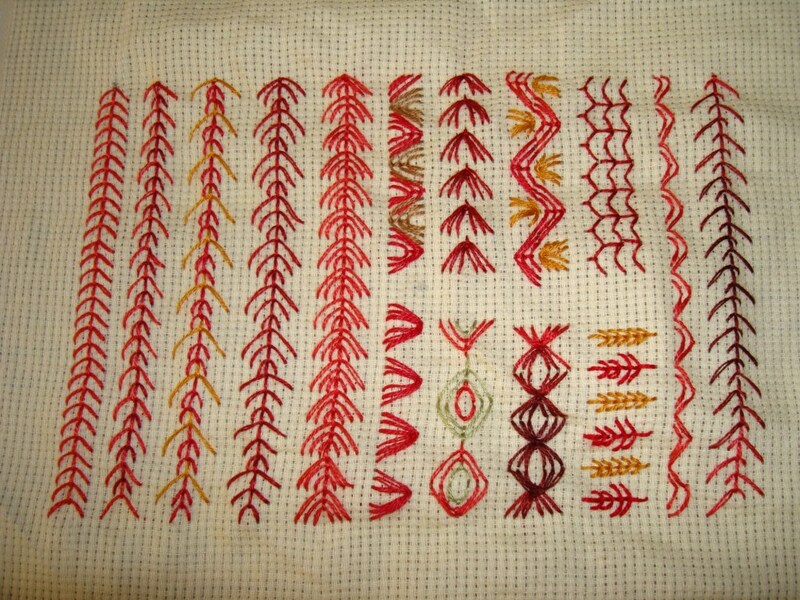 I seem to have exhausted my red combinations.Another few lines I’ll be done with this stitch. Monday was our festival of Deepavali.Here we don’t have fire crackers. I made 2 sweets-cashew khova and mysore pak.I also made the traditional medicine paste.Lots of exchange of sweets and greetings.I wore a red crepe silk saree. Iam also working on my yoke- this is taking too much of my time. I thought I’ll finish this fast, but Iam using 6 colours,Iam also planning to add some sequins and beads, which I bought yesterday. I have started working on a new yoke design. I ‘ll show the picture,when its half way through. 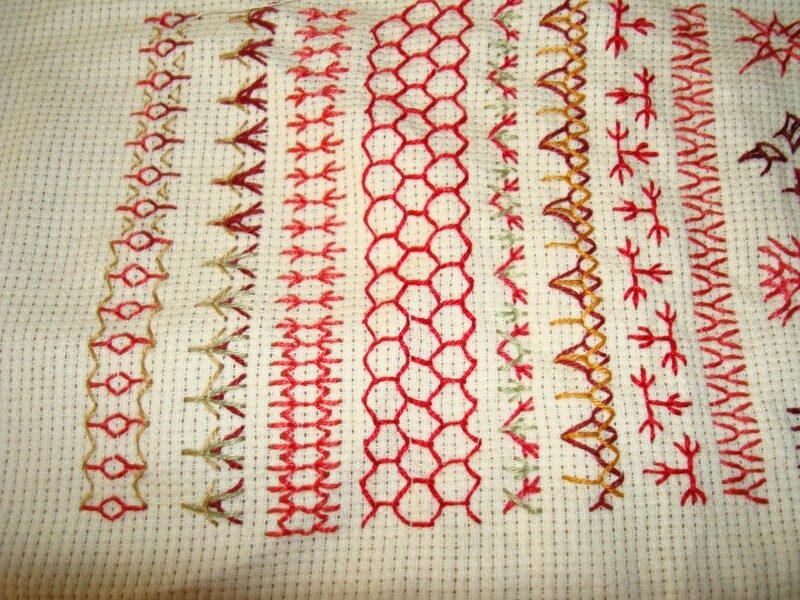 I worked on few more variations of fly stitch.this is a very interesting stitch.It can used as a line stitch andalso as a motif.I don’t have to think about combining colours,since Iam using predominantly red colour.I made a mistake of not cutting the cloth properly, the sampler doesn’t look so good. I have to stop here, and continue on another piece. For the past few days I have been feasting my eyes on WILLS INDIA FASHION WEEK . .I love apparells with embroidery. WIFW was full of it.Most of the designs were wearable .Wonderful range of colours and materials.Very beautiful designs too. 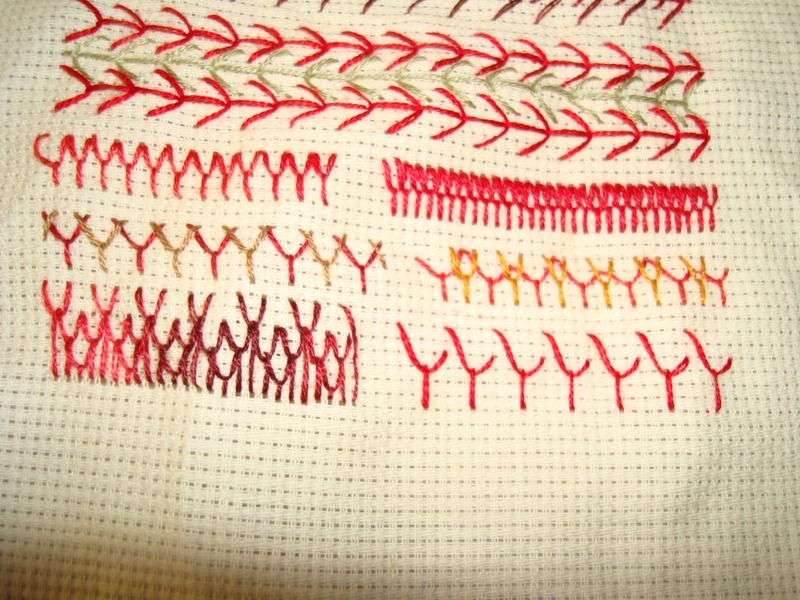 I also started on the next TAST stitch -fly.I thought I’ll do it red colour.I am working on the experiments.this time I’ll post the pictures on my blog daily,depending on my progress. Other than red I am also using golden yellow, brown, and light green to break the monotony. 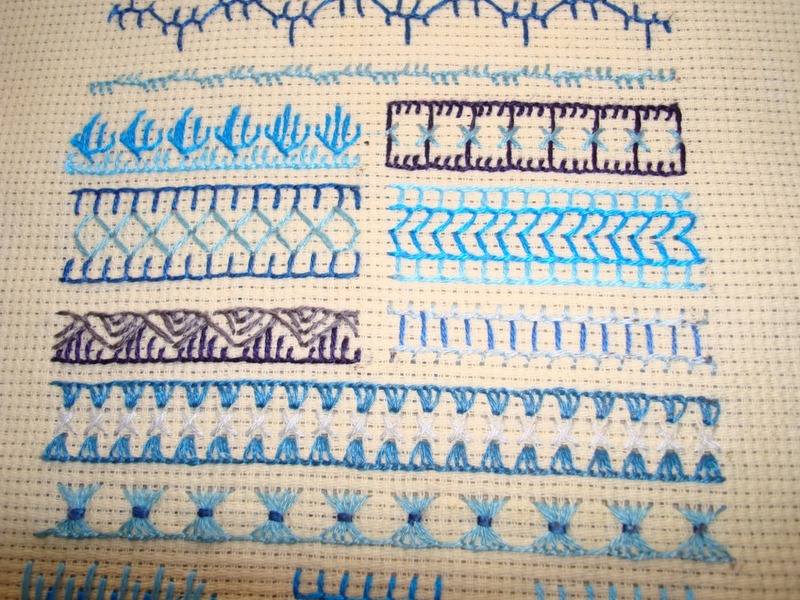 This stitch is also versatile, let’s see how many variations I can think of. 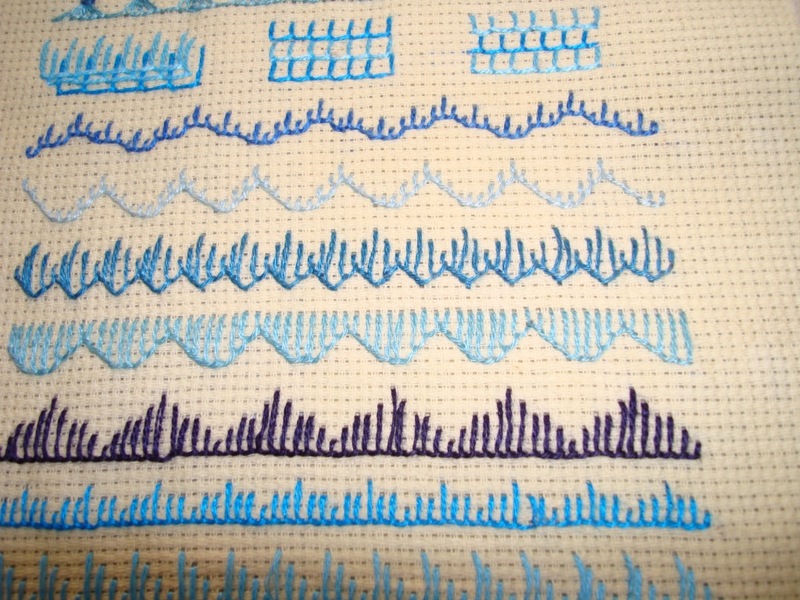 Today I started working on another tunic, This is a neck design.3 ofthe TAST stitches are there in this design. I’ll post the picture once it’s ready.I had an idea of taking photos after finishing a stitch. 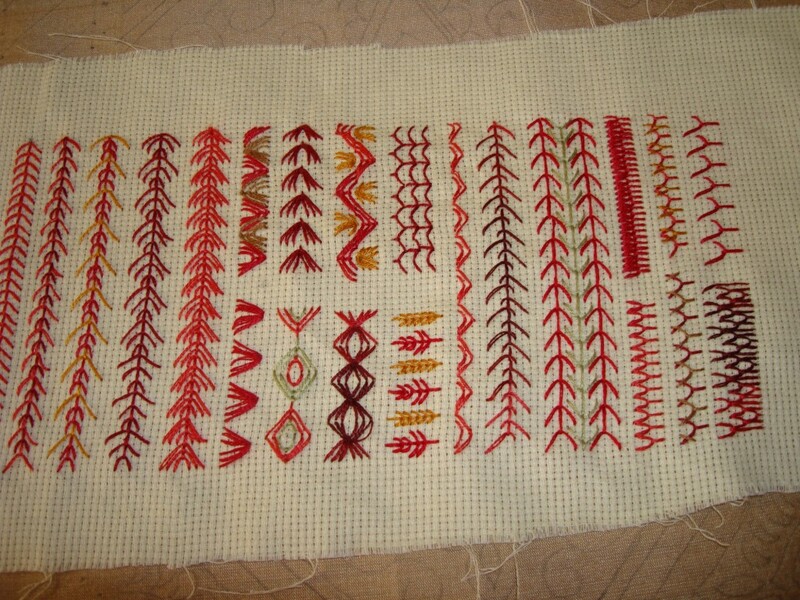 I have to work on this.TAST challenge is helping me a lot in choosing the stitches. 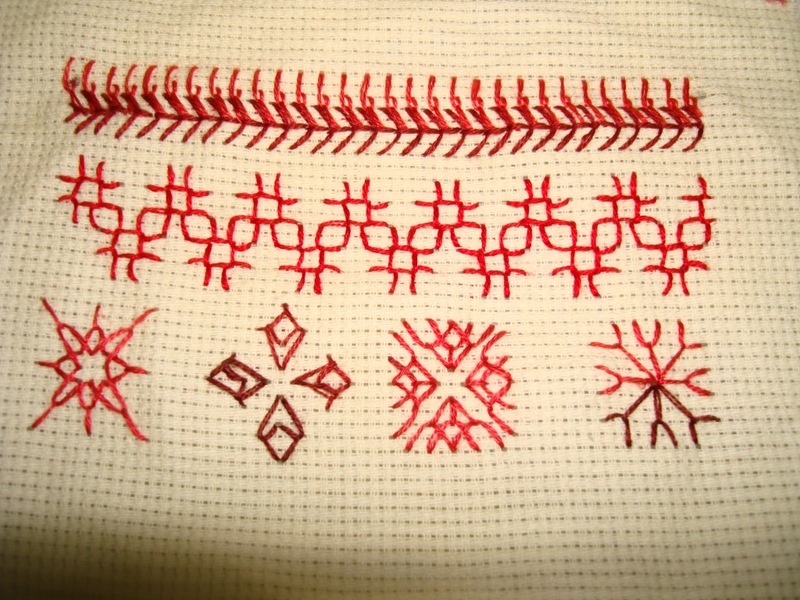 I am able to decide which stitches to use on a design very easily. I completed my georgette tunic yesterday. this was a overall design done in chikan work[shadow work]. today I gave it for stitching, we’ll see how it turns out.I was working on this piece for a very long time.I had initially planned to do 3 tunics in chikan work, now I am not too sure, I’ll be stuck with other 2 tunics for months.